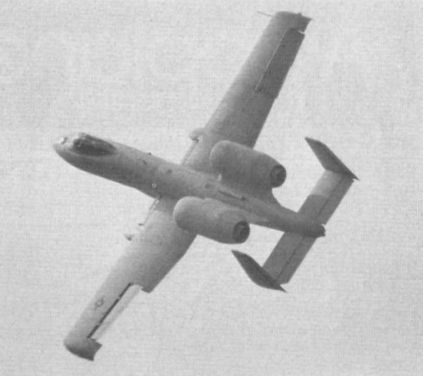 Making its first public appearance outside the USA was Fairchild’s anti-tank A-10. Armed with an enormous 30mm General Electric GAU-8 Avenger rotating-barrel gun, the A-10 displayed the great manoeuvrability which enables its pilot to keep his target continuously in view at close range. 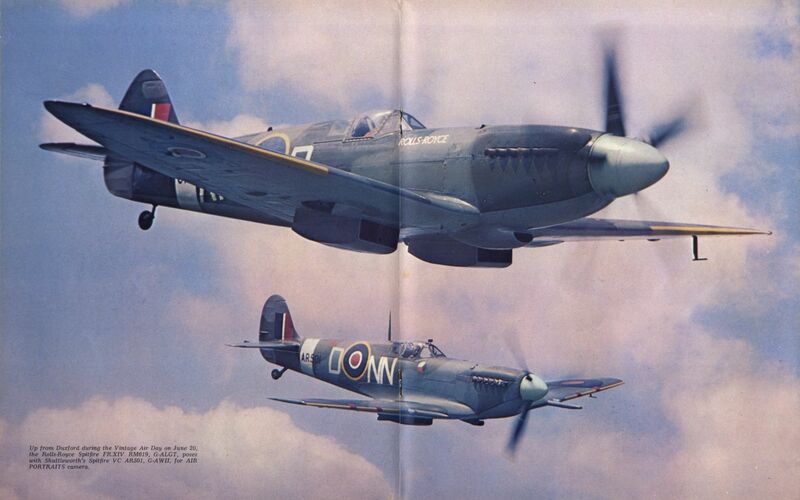 Up from Duxford during the Vintage Air Day on June 20, 1976, the Rolls-Royce Spitfire FR.XIV RM619, G-ALGT, poses with Shuttleworth’s Spitfire VC AR501, G-AWII, for AIR PORTRAITS camera. The two 20,900 lb thrust Pratt & Whitney TF30P turbofans of Grumman’s F-14A Tomcat obscure the background with heat haze as the aircraft flies past in "dirty" configuration with its wings in the low-speed position. Picture of the mystery Breguet 14B2, No 1333, which bears the markings of Escadrille BR 117. From Switzerland Pilatus sent their versatile PC-6B2/H2 Turbo Porter with a PT6A-27 turboprop of 550 s.h.p. providing the power. Over 400 examples have been sold, serving throughout the world on wheel, ski and float undercarriages, and the type is destined to serve for a long time to come. Aermacchi’s MB.339 advanced jet trainer, left, makes a snappy take-off for a very polished display sequence. 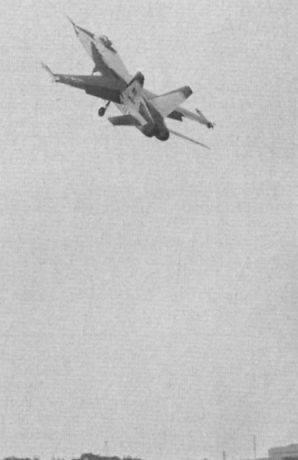 Northrop’s YF-17, which put on a spirited performance, is a development aircraft for the US Navy’s F-18, of which a land-based version is mooted. 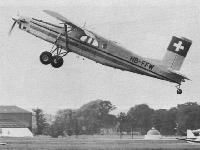 The prize for the most astounding Stol performance must go to de Havilland Canada’s DHC-5D Buffalo. Ames Industrial, UK agent for Microturbo of Toulouse, presented the Bede BD-5J belonging to Air Jet International. Powered by a Microturbo TRS-18 turbojet giving 200 lb thrust, it qualifies as the world’s smallest jet aircraft, with a span of 17ft and a length of 12.4ft. 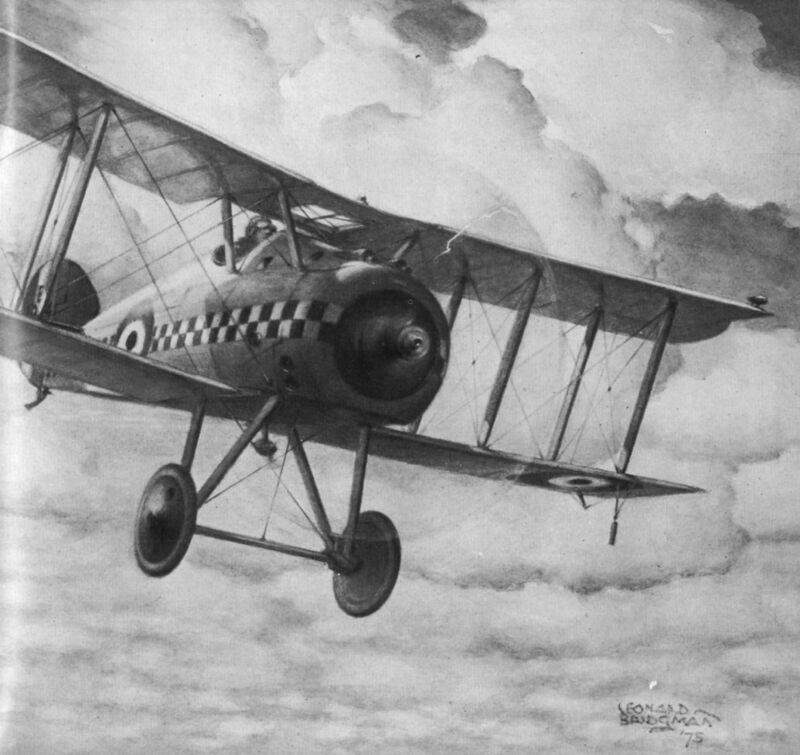 Its landing and take-off runs were impressively long for such a mite. 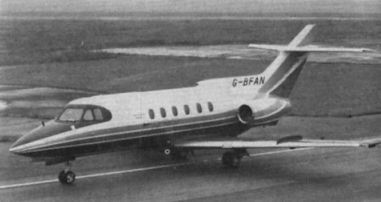 Hawker Siddeley’s first HS.125-700, G-BFAN. 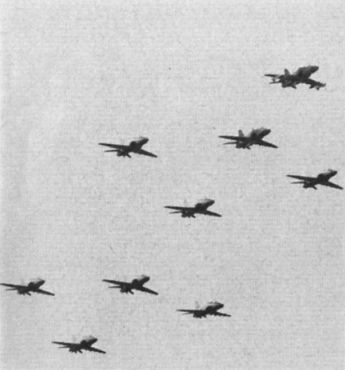 All nine Hawker Siddeley Hawks flew to the show on Wednesday, the lead aircraft being fitted with Sidewinders on its outboard pylons. 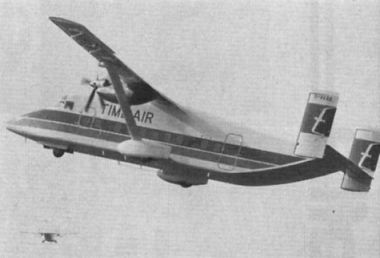 Time Air’s Shorts SD3-30, G-BEEO, at Farnborough. Another contribution from the Pilatus stable was the PC-7 Turbo Trainer, a turboprop conversion of the Swiss Air Force Pilatus P-3 trainer, with a 550 s.h.p. Pratt & Whitney PT6A-25 engine. 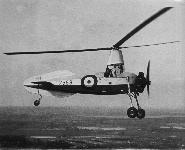 Cierva C.40 Rota II autogiro L7589 flying in the late 1930s. The McDonnell Douglas Bicentennial TF-15A Eagle proved that the two-seat trainer version of this formidable fighter retains the impressive performance of its single-seat counterpart. Three of the six CASA 1.131s from Spain, G-BECU, G-BECT and G-BEDC, at Elstree on September 26, 1976. Three others crashed. Poland's agricultural PZL-106 Kruk has a 600 h.p. 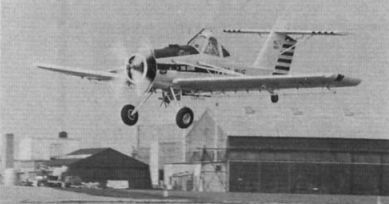 PZL-35 radial engine which gives it a take-off run of 490 ft with 2,200 lb of chemicals aboard. The whole load can be dropped in 5 sec in an emergency. 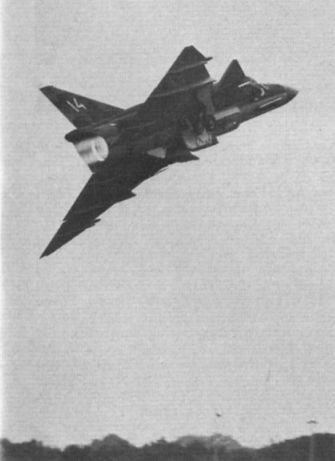 The most memorable thing about the SAAB Viggen was the massive tongue of flame which pulsed from the jet pipe when the afterburner was used. A Northrop F-5E Tiger II of the US Air Force Agressor Squadron based at RAF Alconbury, produced the high standard of display that has now come to be expected of this aeroplane. 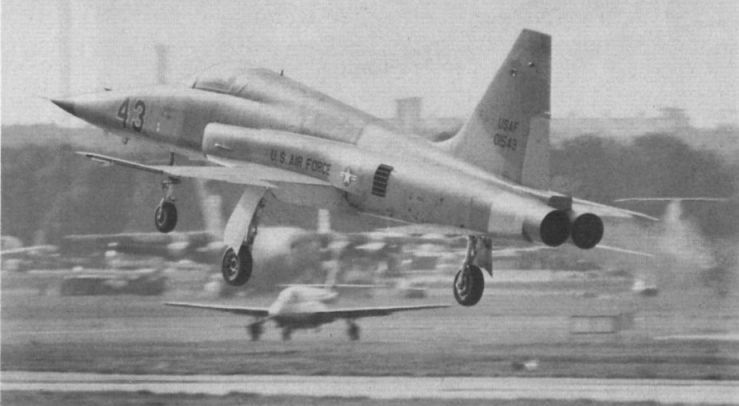 Powered by a pair of 5,000 lb thrust General Electric J85 turbojets, over 700 F-5Es and F-5Fs (two-seaters) are on order. 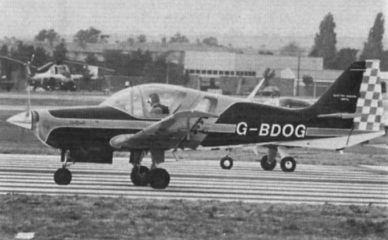 Cranfield’s A1, G-BCIT, first flew on August 23, 1976. The longevity of the Piaggio P-166 has been extended with the arrival of the P-166DL-3, equipped with two 587 h.p. 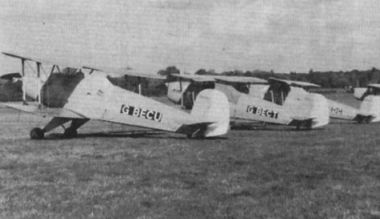 Avco-Lycoming LTP101 turboprops. 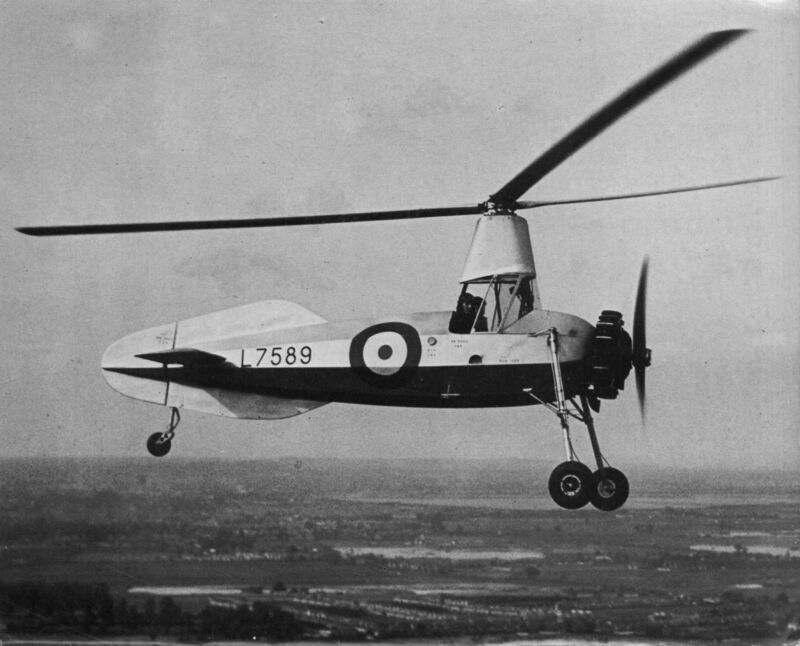 First flown on July 3, 1976, it will be offered in civil and military variants. 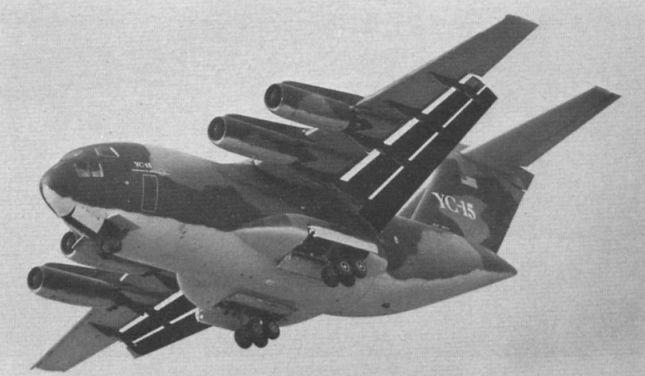 One of the most impressive displays was given by the tubby McDonnell Douglas YC-15 Advanced Medium Stol transport prototype. 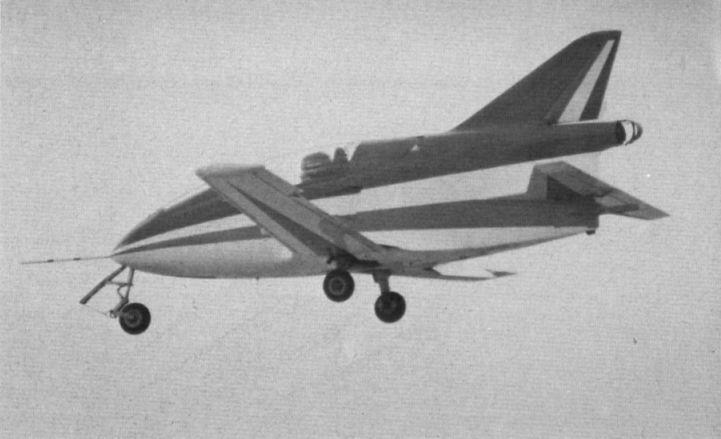 It is seen here showing off its phenomenal Stol abilities. Morisonics displayed the prototype IS-28BM2 motor-glider built by ICA-Brasov of Romania. 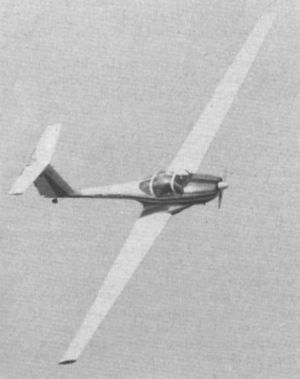 Based on the IS-28 sailplane and powered by a 68 h.p. Limbach engine, its best engine-off glide angle is a remarkable 1:29. New from Scottish Aviation is the Bullfinch, seen here, which first flew on August 20, 1976. Developed from the Bulldog 120, it is a fully aerobatic sport and touring aircraft with a retractable undercarriage, and will also be available as the military Bulldog 200, equipped for training and multi-role operations. 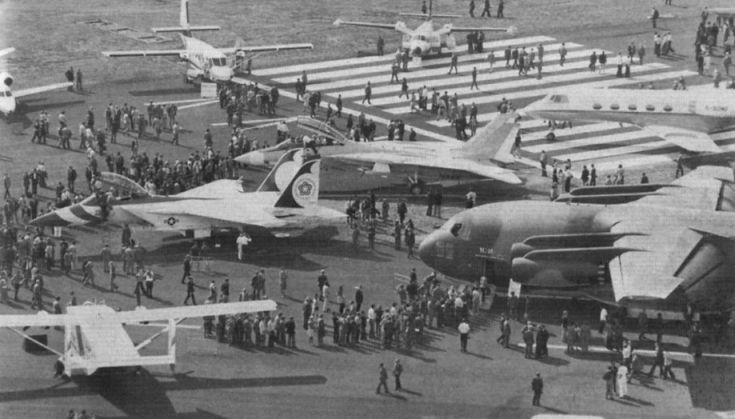 Production deliveries are expected to begin late 1977/early 1978.